Despite its largely royal association, this is actually the first non-royal tiara to make a featured appearance here in our sparkly house. 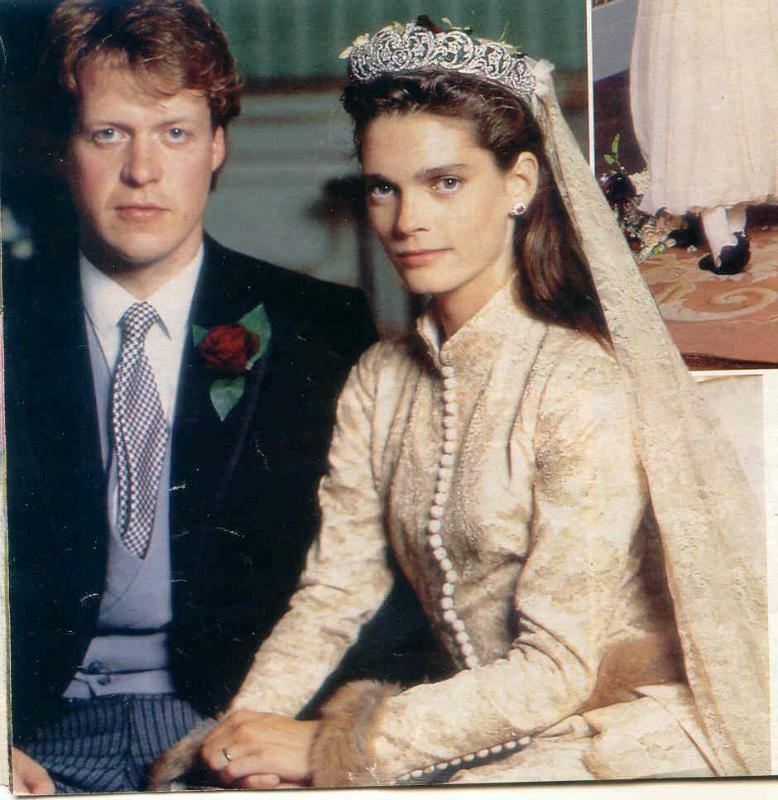 The Spencer Tiara belongs to the family of the late Diana, Princess of Wales, but it was worn so often by her that some people assume it is a royal piece. It’s not the only tiara owned by the Spencer family, but as it’s the best known we’ll stick with plainly calling it by their name alone. Though this piece was once said to date from the 18th century, it actually seems to be a combination of pieces of varying ages and from different jewellers that has gone through several changes over time. The center element was a wedding gift from Lady Sarah Spencer to Cynthia, Viscountess Althorp (Diana’s grandmother), in 1919. This piece was remounted by the Goldsmiths and Silversmiths Company at some point, and Garrard was asked to create four matching pieces in 1937 to add on. The oldest bits are at the ends; these are said to have come from a tiara once belonging to Frances, Viscountess Montagu and left to Lady Sarah Spencer in 1875. The full current appearance apparently dates from around 1935. The tiara includes diamonds in silver settings mounted in gold in various floral shapes: stylized tulips, star-shaped flowers, and scrolling foliage. It was worn by both of Lady Diana Spencer’s older sisters, Jane and Sarah, at their weddings before it made its infamous debut at Diana’s wedding to Charles, the Prince of Wales in 1981. 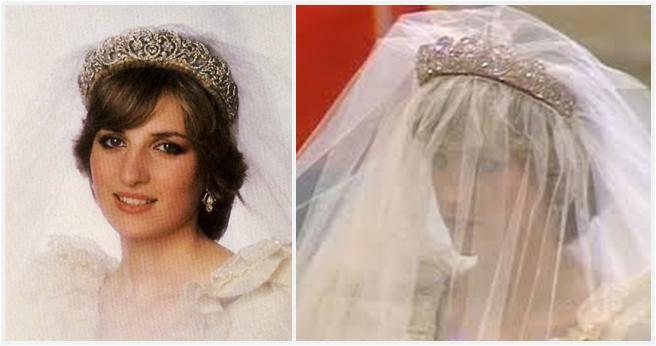 Diana memorably wore it anchoring her veil with her blusher veil attached separately to the front instead of dragging over the top of the tiara. She kept the veil down throughout her wedding ceremony and had the makeup artist cut the front portion off while signing the register. As the Princess of Wales, Diana continued to wear her family’s tiara. 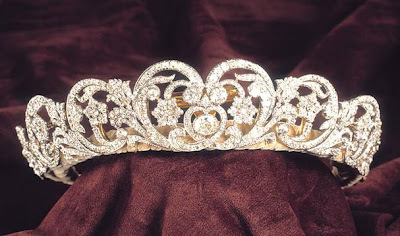 The Queen had given her the Cambridge Lover’s Knot Tiara to use, but the Spencer was lighter and easier to wear. Plus, you can’t argue with wanting a second option, or wanting to show your pride for your own family. The design of this one makes it easy to love. It’s feminine - girlish, really - and whimsical, as though it might once have been a doodle around the edges of a fairy tale page. And it made a wonderful match for Diana’s image as a young princess in her poufy evening gowns. I think it did her a bit of a disservice as she matured, though; it almost seems ironic to wear such a dreamlike design in a life that was quickly and publicly losing its dreamy sheen. 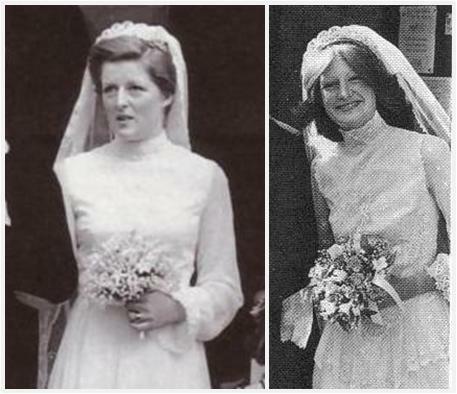 As I said, the tiara never belonged to Diana; she borrowed it from her father and then her brother. In fact, the borrowing arrangement has long been rumored to have been the source of some family tension. Charles Spencer’s first wife, Victoria, did wear it when they married in 1989. Today, the tiara is on tour with the exhibit Diana: A Celebration. How much does that “Diana factor” contribute to your feelings about this tiara?